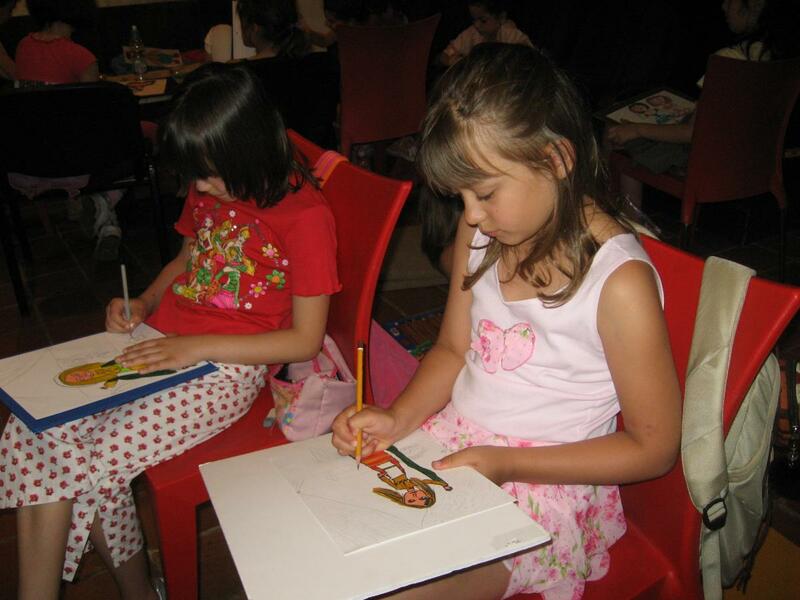 A project funded by the Education Directorate of Varna Municipality. Objective: Let's help children and young people to get involved in the arts of word and theatre, to offer them an emotionally experienced lesson. Partnership in the spirit of European educational practices. Workshop entitled We Read Pushkin dedicated to the 170th anniversary of the great poet's death, jointly with First Foreign Language High School and St. Kliment Okhridski High School, Varna. Workshops: Illustration supervised by Diyana Doncheva, teacher at St. Kliment Okhridski High School; Lyrics supervised by Valentina Popova, teacher at First Foreign Language High School; Pushkin At the Stage supervised by Boyan Stoyanov, actor at the theatre; The Descendants' Court supervised by Rositsa Bardarska, playwright at the theatre. Presentation of the work at the Museum of Puppets. "The extra lesson in Literature was extremely useful. Before, I was not aware enough of A.S.Pushkin's life and work. Reincarnating into one of his characters, I could touch the works that are typical to Romanticism. Some facts of poet's biography became clear to me, I became aware of his absurd death. I was in the actors' group. We played an extract of the stage version of the short novel Queen of Spades. The experience was funny and pleasant. We exchanged our roles, we laughed, while working, we watched the other workshops. We made a closer acquaintance with Pushkin's lyrics. I should take part in similar events more frequently. In addition to the wonderful memories I have, I learned things that are in no event useless." "I have never read Pushkin's poetry. The verses we recited were selected by ourselves and could therefore touch our hearts. I learned much about Pushkin from a biographic point of view - on his life, love, etc., I made acquaintance with his work. Thereafter, the preparation for the program was a very funny and interesting experience. I think that events of this kind are a very funny idea and a learning method at the same time because they combine the useful and the pleasant." "Learning must become a pleasant activity. The fact that children go to school unwillingly is an evidence that there is something wrong in the system of our schools. The joint activities, projects and even entertainments lead to improving students' communication capacity. So, they get willing to work and satisfied from what they have learned. People must learn to combine work with pleasure." "I touched Pushkin's person - yes, certainly, I felt his pain caused by Russian high society and his aversion for the low human passions and actions. I mostly appreciated the work in a team. Although we frequently work by groups at school, this was quite different. And also something I was pleased to do. I wish there were more projects like this. Every new topic must be presented this way, not only in Literature but in the other subjects too. More creativity at school. Creative Workshop Time for Fairy Tales dedicated to Wilhelm Hauff and Grimm Brothers, representatives of German Romanticism, jointly with First Foreign Language High School. The Fairy Tale Life Workshop - studying authors' biographies to look for parallels with the fairy tale elements. Supervised by Valentina Popova. Stage Workshop - tracing the path from the literary work to staging; selecting and staging with the students short extracts from the Puppet Theatre performances: Snow White and the Seven Dwarfs, The Brave Tailor (Grimm Brothers), The Longnose Dwarf and Frog the King (W. Hauff), learning acting and puppeteers' skills. Supervised by Yolanta Raykova and Boyan Stoyanov. Music Workshop - preparing appropriate songs. Supervised by Darina Popstefanova. Interlocutors Workshop - interviewing actors with respect to directing and acting interpretation; organizing inquiries for children and adults on how the fairy tales are conceived and understood. Supervised by Valentina Popova. A Style Exercise Workshop - attempts to tell a well-known tale in various styles; giving meaning to the unity between author's idea, the content and the style. Supervised by Rositsa Bardarska. The Fairy Tale - How To Use Workshop - the fairy tales in the light of psychoanalysis; childhood, youth, mature age - all of them are A FAIRY TALE TIME. Supervised by Darina Popstefanova. Presenting the work at the open-air summer stage of the theatre. CRY Creative Workshop – The Messages of Geo Milev and European Expressionists, in collaboration with First Foreign Language High School. A short performance after texts by Geo Milev, Chavdar Mutafov, Nikola Furnadzhiev, Angel Karaliychev, Lamar, Anton Strashimirov, Asen Raztsvetnikov, Johannes Becher, Emile Verhaeren and Ernst Toller. Performed by German taught students of the 11th “g” class. With respect to the theatre language, the focus here was on the plastics and choreography. 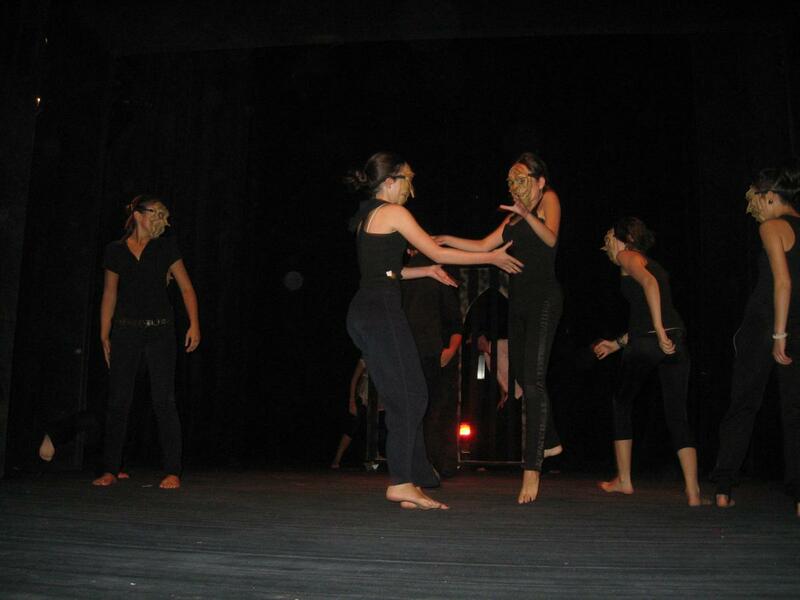 The performance participated in the Kliment Mihaylov National Student Theatre Festival in Ruse – 2008 where it was awarded the Jury Special Prize. Thirty participants completed a three-week course in three modules: Eloquence, Speaking Culture and Plastics – the Body Language supervised by Rositsa Bardarska, Evgeniya Vasileva and Stoyan Stoyanov. The final presentation in the theatre hall included individual speeches, recitals, articulation exercises, choreographic sketches and was admired by the audience. 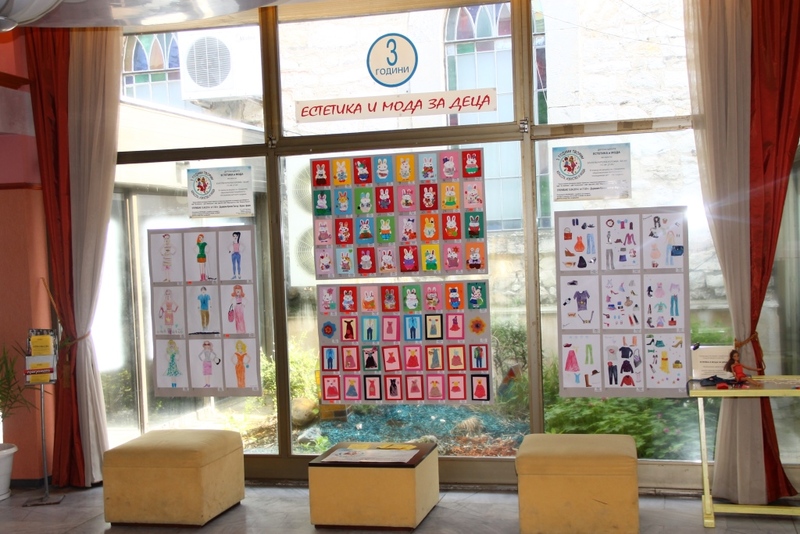 An exhibition - comics of illustration by children from St. Kliment Okhridski Comprehensive School inspired by the Golden Fish performance. Supervised by Diyana Doncheva. 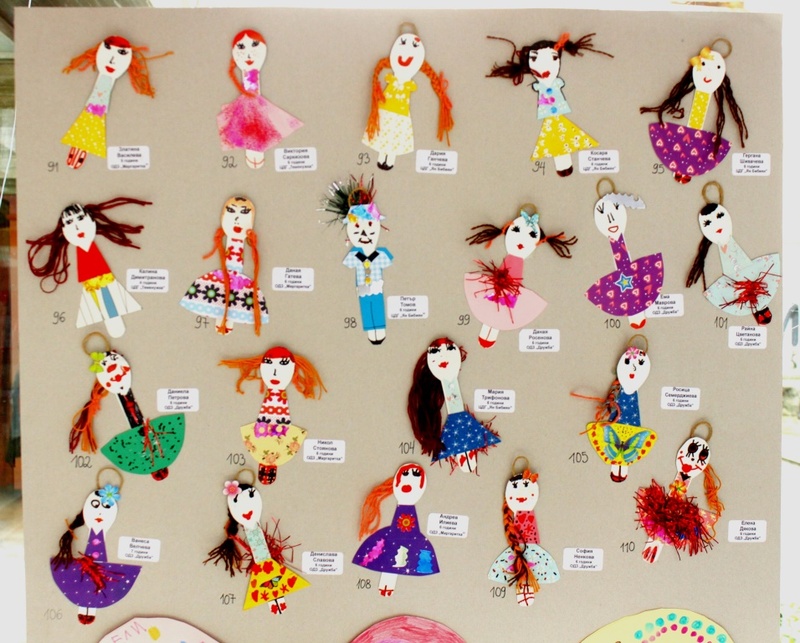 Exhibition of children drawings and objects made of natural materials on ecological topics. 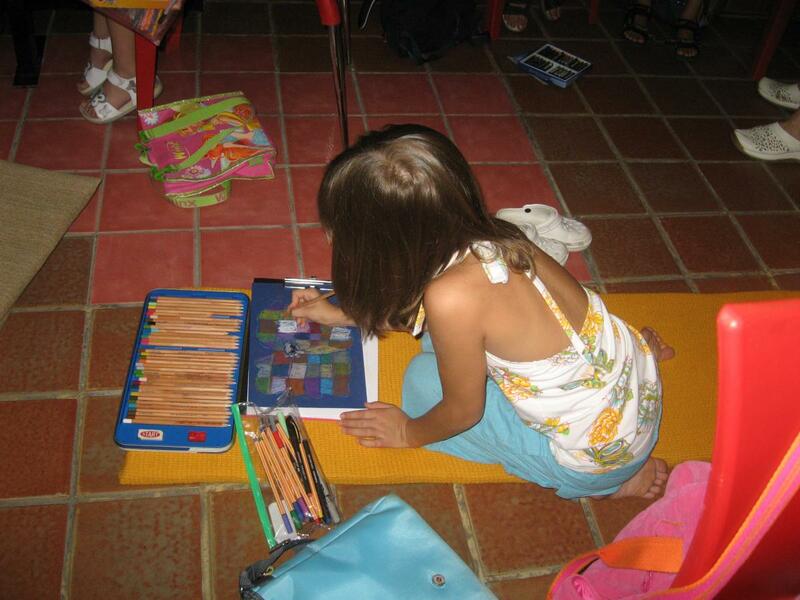 In partnership with Ecopark and Zvezdichka 13th kindergarten. Outdoor painting of St. Kliment Okhridski Comprehensive School supervised by Diyana Doncheva. 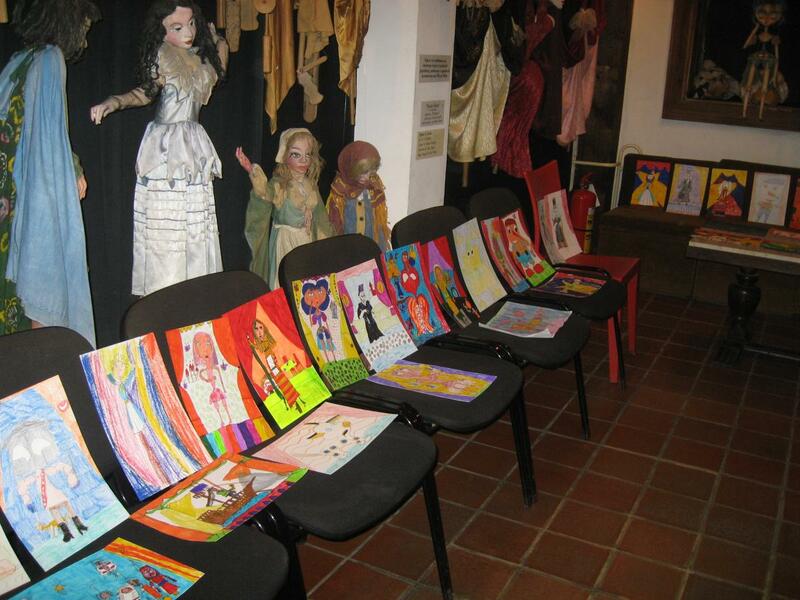 On April 15, 2014, the three-year successful creative activity of young children from the Aesthetics and Fashion School, organized by the Moira Agency, was celebrated in the foyer of the State Puppet Theater in Varna. 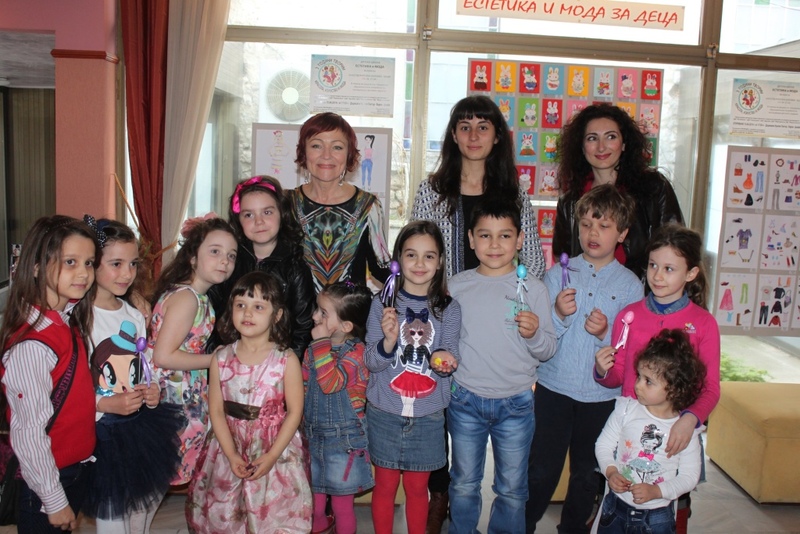 The event was accompanied by a charity Easter exhibition-bazaar to help children with special educational problems in kindergartens. In the foyer of the host - the Varna Puppet Theater were exhibited 227 unique works of the young designers who attended and completed their education / school year 2013 / 14 /.There were connoisseurs' purchases. State Puppet Theatre Varna is a partner of numerous schools in the city, which joined the Success’ Project– “Let’s make the school attractive to young people” under the Human Resource Development Operational Program, financed by the European Social Fund for the financial framework for 2007-2013, also the Ministry of Education, Youth and Science. All the schools involved in theatre studios and clubs, which we are partners with in this program are the following: I Primary School, Vladislavovo, Ivan Vazov Primary School, Peyo Yavorov High School, A.S.Pushkin 7th Foreign Language High School (students from all levels), Sv.Patriarh Evtimii Primary School, Vasil Aprilov Primary School, Dobri Chintulov Primary School, V Ioan Ekzarh Foreign Language High School, Neofit Bozveli 2nd High School, Sv. Nikolai Chudotvorec Varna Marine High School, Angel Kanchev Primary School, N.I.Vaptsarov Primary School,"D-r Petar Beron" High school of Mathematics etc. The team work includes visiting performances of the Puppet Theatre’s repertoire, Puppet Museum, artistic workshop, also introducing to the rehearsing process and all theatre professions.